Last year I did a Christmas list around this time, collecting together some of my favourite things offered by the advertisers on Permanent Style. We don’t do much to shout about these brands that fund everything on PS, so I thought nice to do so again. First off is some luxury on the cheap(ish). 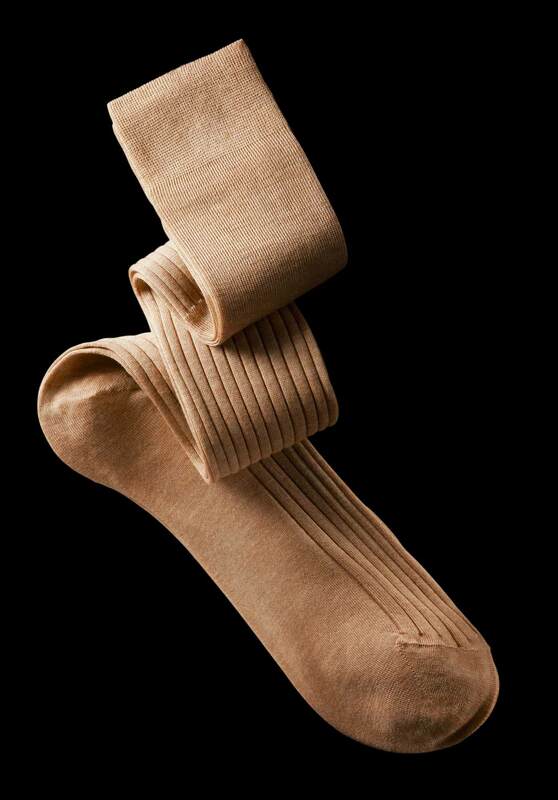 William Abraham, maker of the most luxurious and expensive socks in the world, has been prototyping some new vicuna-cashmere socks (pictured above). The prototypes (perfect in every way) are available for PS readers for $125, rather than the original $425. Only in a (sock) size of 11 and 11.5, but if that’s your size they’re worth considering. Among the nice things on the spanking new Drake’s site, I’d pick out the pins – Mike’s being wearing one around for a while and it’s delicate and subtle. If that’s an unexpected selection for a tiemaker, equally surprising is the Simonnot-Godard handkerchiefs at Mes Chaussettes Rouges, which come in a fantastic range (grey is my favourite). Exquisite Trimmings is also the best source for Rubinacci ones. And at The Merchant Fox, I’ve always loved their leather goods. Bridle leather and brass hardware, just like English accessories should be. Check out the wash roll. Edward Sexton has a small line of nice accessories, among which I have the gold collar pin – a key part of Edward’s look, and they sell shirts with the appropriate collar as well. 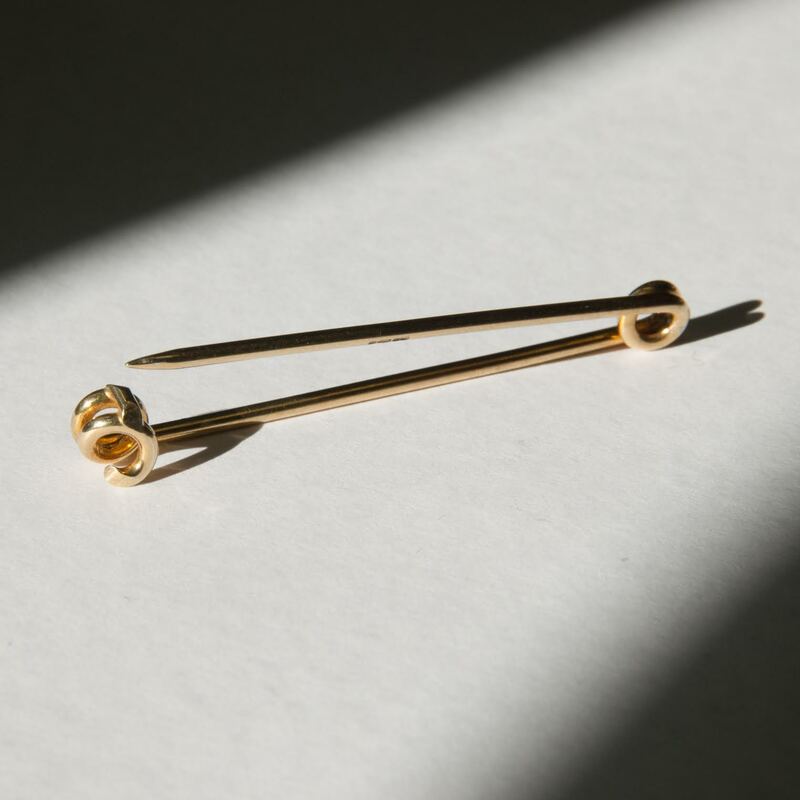 I’ve always said that Alice Made This offers a great alternative to traditional cufflinks, and my favourites are the Alexander links in brass. Modernist look, precision-turned finish. 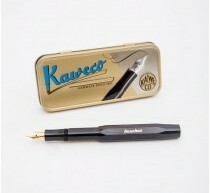 Equally ap pealing in their simplicity are the Kaweco fountain pens at Trunk. 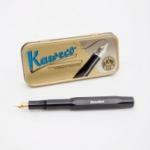 Light, stylish and write incredibly well. Viola Milano have recently relaunched their site and I’d pick out the white silks. White is not a common colour for a tie, but it is actually quite subtle and yet characterful. 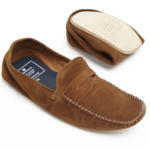 Wear with a blue shirt and navy suit. Tom’s friends at Pauw Mannen, meanwhile, have an amazing collection of luxury outerwear, everything from Attolini to Real McCoy’s leather jackets. Further down the list, there are my Portegna slippers, which I wear every day, the Ruc Tote at J Panther, which again has worn very well, and my own Begg-collaboration scarves, which I have worn almost every day since we made them. They’re just so practical! What else? Private White is great for workwear or casual jackets made with that touch more design thinking, and better materials. Case in point: the waxed cotton jacket, like a Barbour but better. It’s been nice to welcome back a couple of old advertisers to the site recently. Dent’s gloves, who advertised for several years previously (always buy the Heritage Collection, particularly cork peccary) and Lissom & Muster, who have a good selection of slightly more unusual British products, like the Cherchbi bags and bridle accessories. 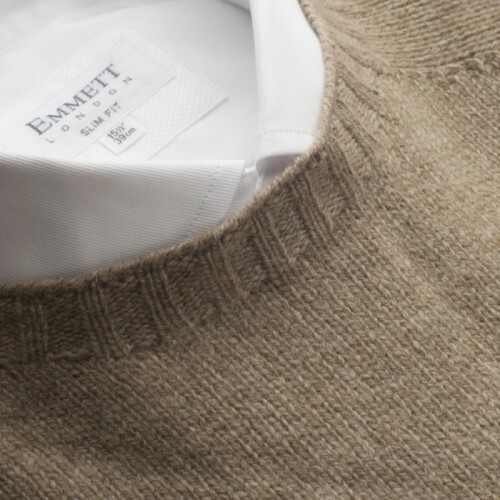 And last but not least, lovely to have Emmet on the site, particularly given how the knitwear and accessories are expanding. I’d point people towards the lambswool crewnecks, which are great value (£145) and come in nice biscuity colours. You can follow the discussion on A 2015 Christmas list by entering your email address in the box below. You will then receive an email every time a new comment is added. These will also contain a link to a page where you can stop the alerts, and remove all of your related data from the site. In my experience, the handkerchiefs with a size of 30×30 cm are too small to stay up. What is your opinion on the size of pocketsquares? I have two beautiful Ettinger Sterling Purple Billfold Wallets (used, but in great condition) for sale if anyone is interested. While on the theme of Christmas, I don’t suppose you would mind doing a post on decorom with regards to gifts to tailors/shirtmakers etc? I presume many readers making their first tentative steps into bespoke will be grateful to their tailors for helping them, and others who have had sustained relationships might like a way to thank them. 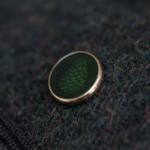 Out-Barbouring Barbour – Surely not? The cut and construction look similar to the Bedale and other mid-range Barbours. 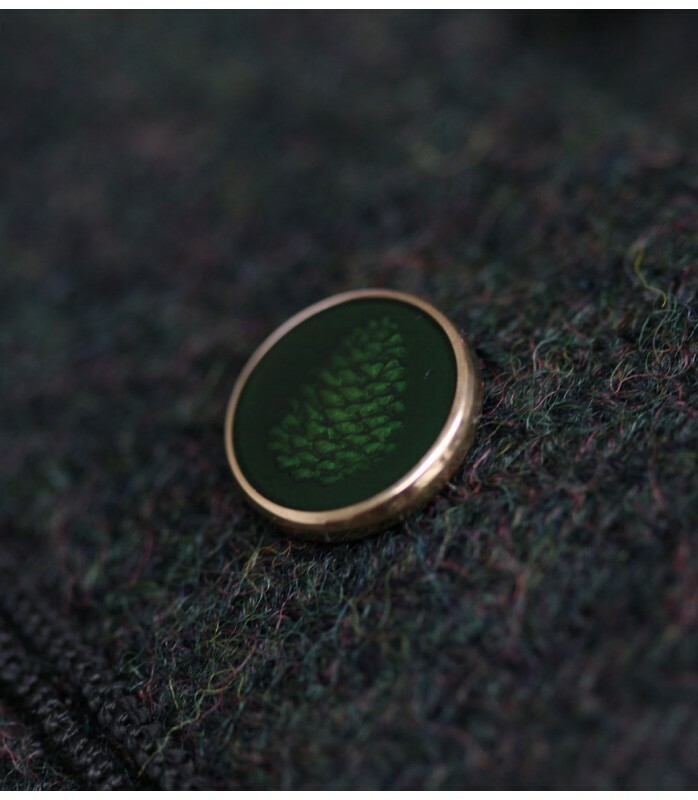 The only noticeable difference is that the PWVC product is made in England whilst some (or probably all) of the Barbour coat is manufactured overseas. Actually Matt, the majority of the classic Barbours are still made in England. I covered their factory in my recent Best of British book. It is largely the materials that are better at Private White. The copper zippers, for example, and the use of Ventile on other coats. Honestly, I wonder whether all these advertisers shouldn’t consider anything for PS’s readers when the sales kick in or before they do. I truly believe that in the long run it would be a win win for all. So an option really worth considering! Where would you advise to go for RTW trousers if you wanted to spend 200 pounds or less? It seems impossible to shop in London without wanting to spend infinite amounts of wonga! i have reached that age where i have to attend a funeral or two every year. i would like to get a bespoke funeral suit made (attending others’, not my own) for the same reason i get bespoke suits made for work and other occasions: i don’t want to have to think about what i’m wearing. do you have any advice on cloth and style for such a suit? it needs to be a year round fabric so i am thinking a three-piece for four season versatility. i would very much appreciate your thoughts on this. I find the Sexton collar pins intriguing, but are they a little too ‘fancy dress’? 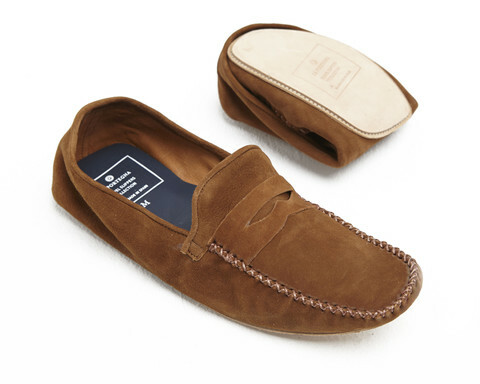 Simon, was just checking out La Portegna slippers from your post and since you own a pair wanted to check size. I’m a UK 8.5 (which is 42.5 European) and they only have 41-42 or 43-44. Are they cut large or smaller so I can decide? Many thanks! I’m an 8.5 as well, with quite broad feet. The 41-42 were too small and split after a few months. $425 for socks?! You have got to be kidding.